oh my God Lisa… this is the cutest thing i have seen in the past… gorgeous!!! learning to crochet has been on my list for loong… but somehow dont know how and where to begin… any suggestion on what would be a good book to start learning to crochet… would really the appreciate the help!!! Oh Lisa, this is absolutely adorable! It may be your first time to make one but it looks perfect to me and no calories too! 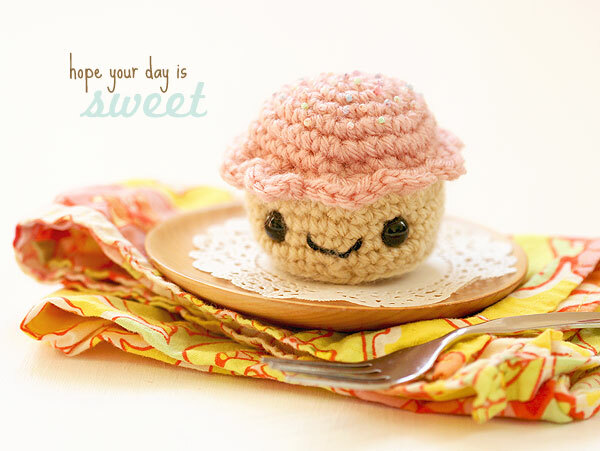 Love the cute little face and bead sprinkles! 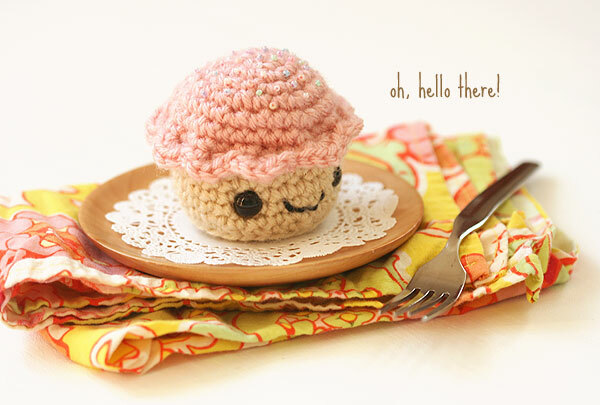 I still can’t crochet so must see if I can find a knitted version like I did for your super cute owlets! super cute! what a lucky friend you have! 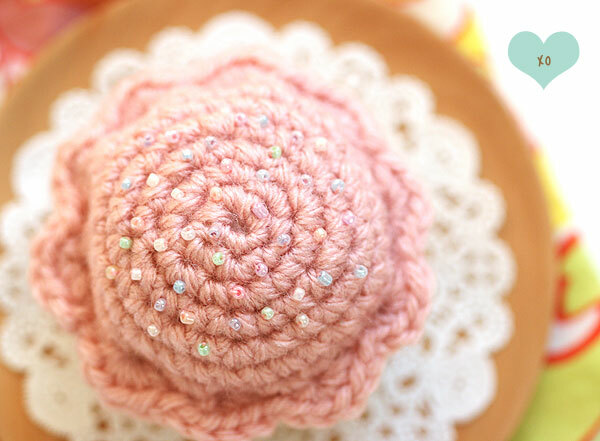 OMG your crochet cupcake is way too cute!! !